This September the people of Indonesia, especially the people of Rawagede gained a victory over the International Court of Justice, for the first time. On September, 14th 2011, the International Court of Justice in The Hague, Netherlands, recognize Rawagede Massacre as the crimes against humanity, and blamed Netherlands Governments for it. The Courts demanded Netherlands to pay compensation over the victims. Its good for the victims that already 60 years without any justice, but then what about the others war crimes involved the Royal Army of Netherlands during 1945-1949? Also the rebellion involved the desertion army of KNIL( Koninklijk Nederlandsch Indische Leger) to disturb the rise of Republic Indonesia during Soekarno period? Well, for me, Rawagede Massacre is just one’s of the massacre that happened during the politionele actie that held by Netherlands between 1945-1949. So what is Rawagede Massacre itself? 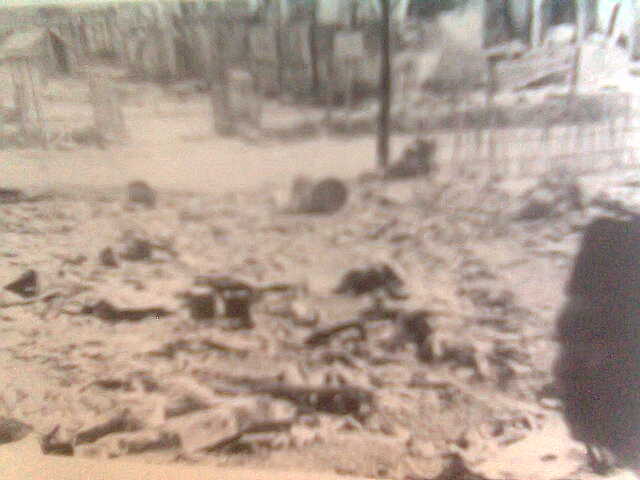 The people of Rawagede mourning the destruction. It begun when West Java, before the Renville Agreement was signed, the Dutch army from Division 1, also known as December 7th Division troops launched a cleaning unit and Indonesia militias who are still held against the Dutch. 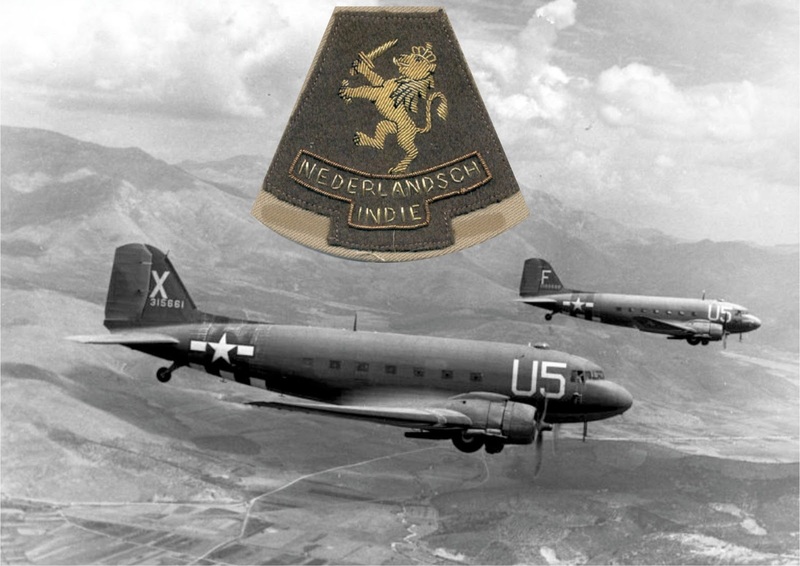 In the area of ​​operations in Karawang, small city 50km to the west of Batavia (Jakarta), the Dutch army, hunt the Indonesia Regular Army and also the militia who was believed to responsible to shooting down the C-47(Dakota) Plane that carries 19 of Dutch Army officers from Semarang to Batavia. In fact the plane itself suffered engine failures, Nobody was injured and all the occupants were seen by a Thunderbolt pilot to leave the plane. When a rescue party of the RAF Regiment arrived, a howling mob surrounded the plane and there was no sign of the occupants, the rescue team believed that the officers was already kidnapped or murdered by the militia. The Dutch army inspect all over the village, door to door. But they did not found any Indonesia Regular Army nor militia over there. Then forced the entire population out of their homes and gather them in a field. Male population was ordered to stand side by side, then they were asked about the existence of the militia or regular army. But none of the people who say fighters are hiding. Then the brutality was start. The leader then ordered the Dutch army to shoot to death all the male population, including young teens. Some people managed to escape to the forest, although wounded shot. The worst one is there’s a popular stories that Dutch Army, let the villagers run out to the forestall area, but then from behind, they shoot them repatedly with machine guns. That day the Dutch soldiers massacred 431 people of Rawagede. Before the Dutch army leaves, they burned over the villages. This form of field executions (standrechtelijke excecuties) are an action that is clearly a war crime and its happened many times. It is estimated that victims of the massacre of more than 431 people, because many are swept away in flood to the river because of heavy rain after the massacre over. 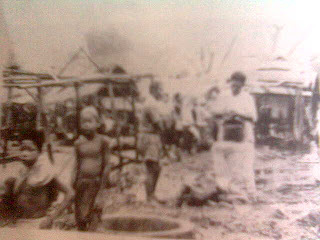 The rain which flushed resulting in a pool of blood soaked the village. The next day, after the Dutch troops to leave the village, the women tried to bury the bodies with crude equipment. As the witness said, mother buried her husband and two sons aged 12 and 15 years. They can not dig a hole too deep, only about 50 cm only, not too deep, so the smell of corpses still smelled for several days. This event later immortalized by Chairil Anwar, a famous poet at that times into a poem titled, Karawang - Bekasi. The Rawagede victims now will felt a lil bit satisfied following this resolution. But not with the Republic of Indonesia government I think. Maybe, the government just feared of, if they concerned to this resolution, which is strong related again human right, maybe next day, the government itself must be preapared to the court also for the systematical crimes like Massacre of Communist Followers in 1965-1966, Massacre of Tanjung Priok, Petrus, Santa Cruz Massacre (Timor Leste), and 1998 Riots. Sources: Metro Files, "Cerita Kelabu di Rawagede"